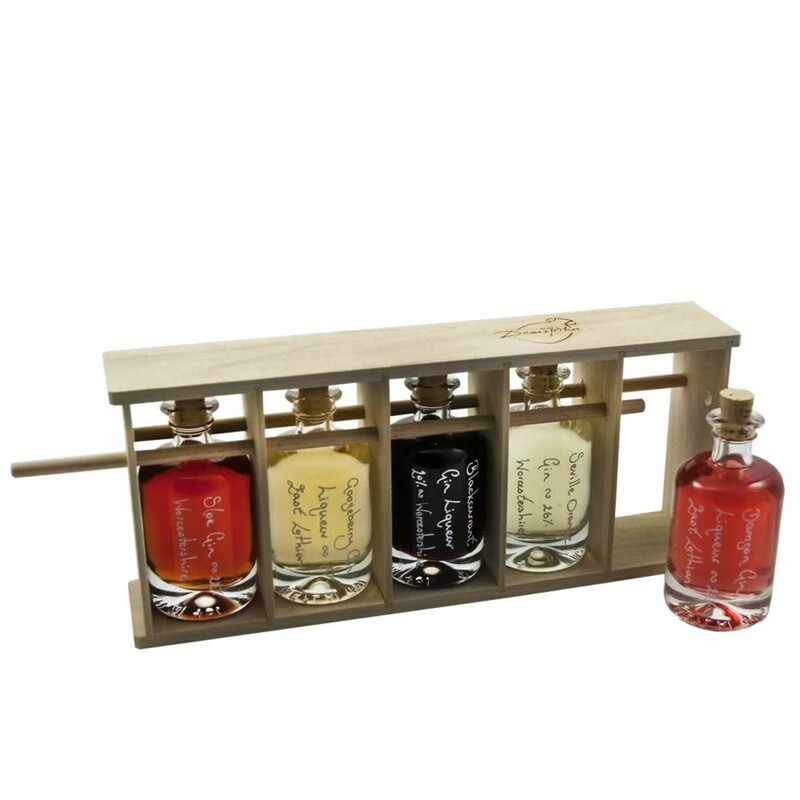 The Gin Rack is a set of 5 of our most popular Gin liqueurs and spirits, perfect for a Gin aficionado! 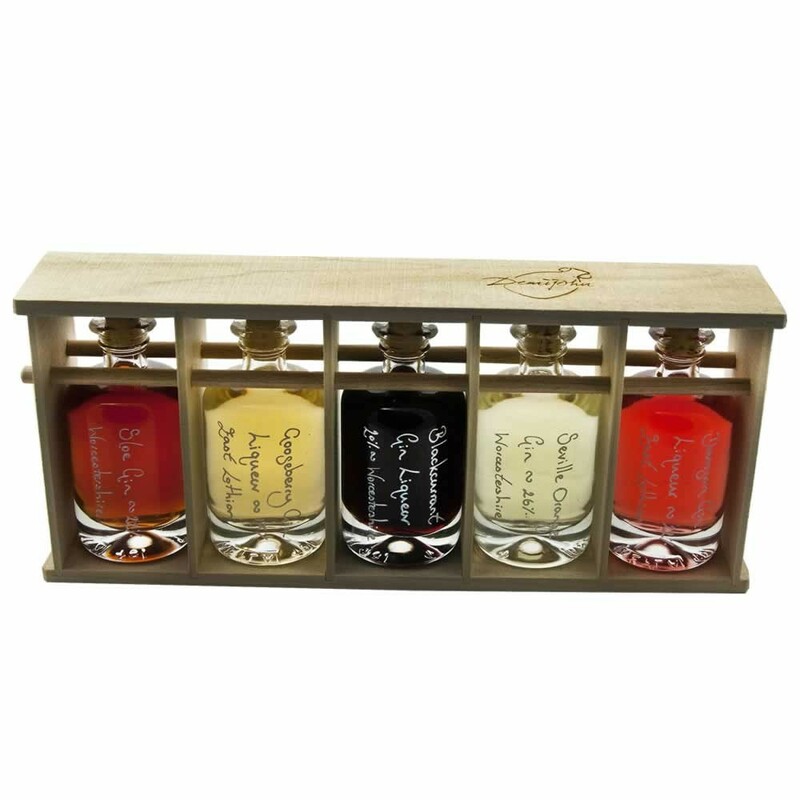 Bottled to order in our beautiful Apotheker 40ml bottles, the bottles are cleverly tied together as a tasting set in our handmade poplar wood bottle rack. A short piece of wooden dowel is withdrawn, similar to a tantalus, to magically release the bottles. 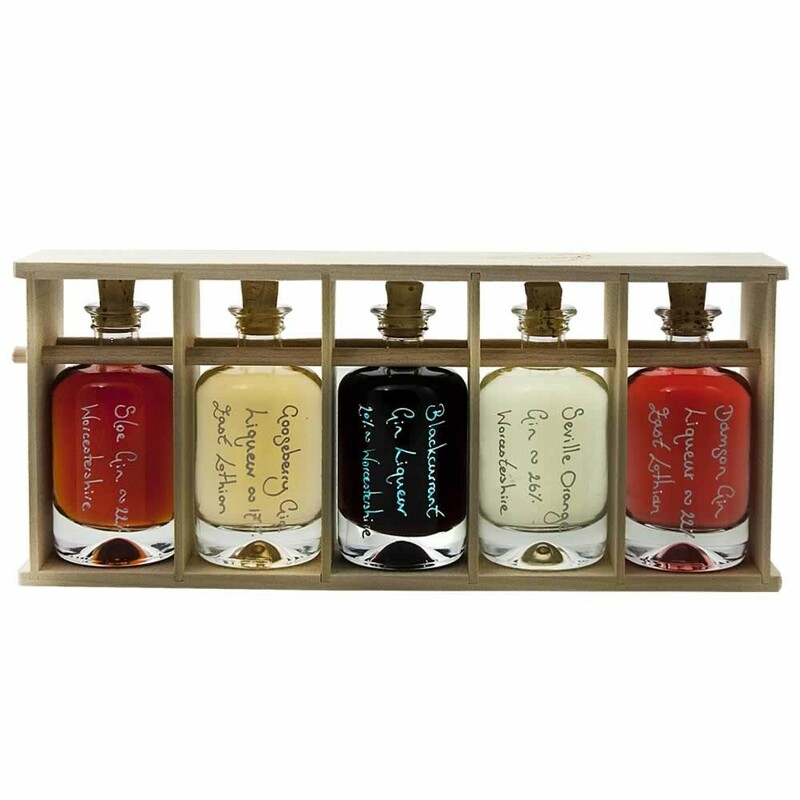 This set includes our traditional tasting Sloe Gin 25%, our beautifully smooth Damson Gin Liqueur 22%, our marmalady Seville Orange Gin 26%, our rich Blackcurrant Gin Liqueur 20% and unique Gooseberry Gin Liqueur 17%. If you like mixing gin cocktails then this could be the tasting set for you! 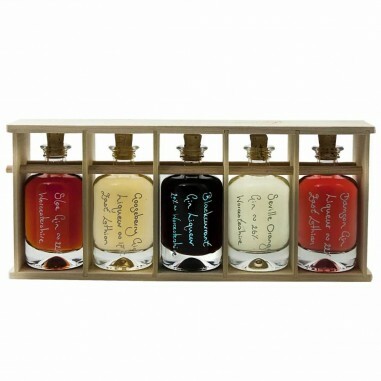 If you would like to vary the contents of your set please build your own Apotheker 40ml Rack online. If your still stuck, do not despair, simply contact us and we will be happy to help.